It’s kinda pointless to review a disc and discuss flight characteristics without some form of context in terms of the person throwing the disc. Describing a disc by comparing it to other discs (“it’s like a Roc on steroids!”) is, for the same reason, of limited usefulness. 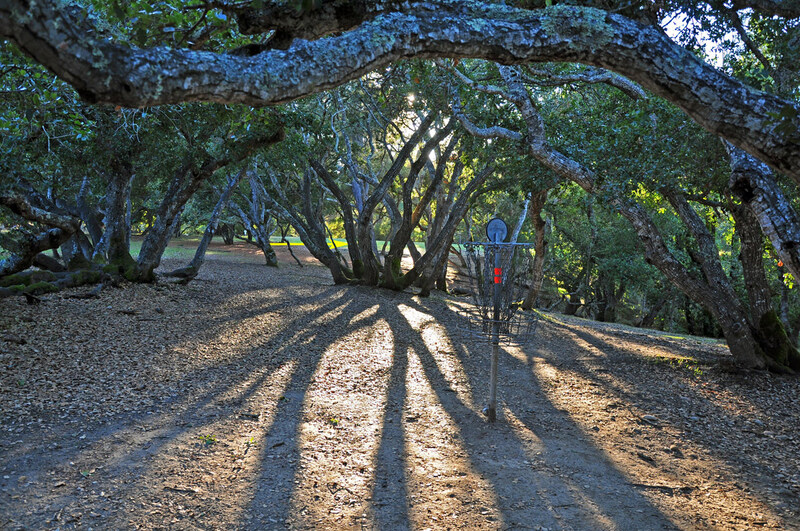 Disc golfers vary greatly not only by armspeed but also in a number of other ways, like preference for hyzer/anhyzer/S-turn flight and general skill level and experience. So it should make sense that a disc that flies naturally straight according to one person’s perception won’t result in the same experience for someone else. The Ibex that Vibram sent me to test is in their regular (as opposed to soft or hard) X-Link rubber compound. I find that some of the appeal that the Ibex has for my game is directly related to slogans Vibram touts about their entire line. To quote the top of every page on their website: “Exceptional Durability, Unequaled Grip, Consistent Performance”. After throwing the Ibex for a few weeks now (plus having tested other Vibram models for a much longer period of time), I can attest to the veracity of all three claims. And it is these characteristics that have me giving the Ibex and other Vibram discs a long tryout for a spot in my bag. Most of my non-putter discs have for years been made of various types of high-tech plastic, like ESP, Star or Champion. 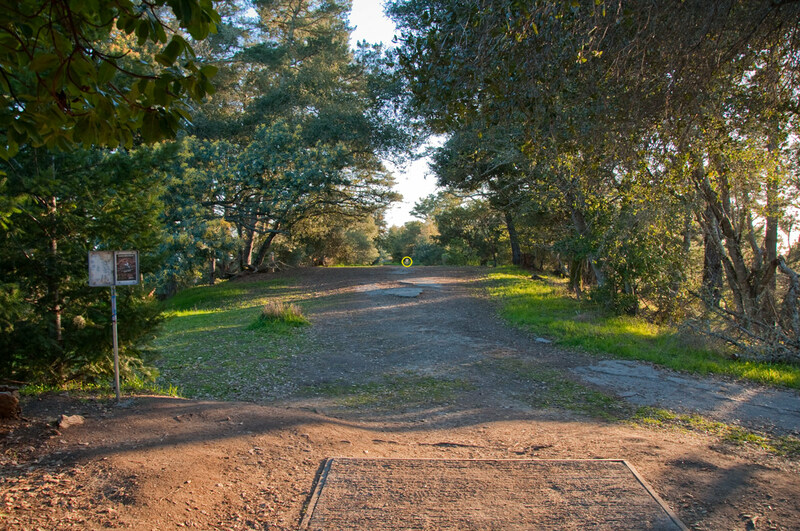 Playing on the fast terrain of DeLaveaga and surrounding courses for years, I’ve become accustomed to taking the skip into consideration when planning and executing shots. But Vibram discs provide a great alternative to that strategy, when needed, with their tacky rubber surface. Whether the Ibex lands at a steep angle or perfectly flat, it usually ends up pretty close to where it first touches down. With a weeny arm now, sometimes I need that skip to reach the green, and in those cases I won’t throw a rubber disc. But it’s all about having the right disc for each shot, and now I’ve got discs that don’t skip when I don’t want ’em to. Another benefit directly related to the rubber compound that makes Vibram unique is the fact that the grip expands shot-making possibilities. Case in point: sometimes I am faced with one of those ‘tweener’ shots where the distance and lie seems too long for a putter, and too short for a full, smooth mid-range disc. I’m finding that throwing the Ibex with a fan grip works great in these situations, providing the same accuracy-centric control I would get from one of my putters, but with the added distance I need. In the past I had to throw a putter harder than I’d want to, risking the loss of some aim, or another midrange with a fan grip on the comparatively slick ‘high tech’ plastic, which didn’t inspire confidence. In my case, the other mid-range discs in my bag are only moderately stable. If I put an anhyszer angle with some height on a throw with my Champion Cobra, for instance, it’ll hold that angle for a long time. If I throw it hard and flat and low, there is a good chance it’ll turn over and hit the ground too soon. With the Ibex I now have a disc that I can throw flat and expect to hyzer fairly quickly, yet it won’t skip like a flat stone on a quiet creek when it hits the hard dirt of DeLa. Once again, that’s valuable because it fills a void in my bag. To sum it up, the Ibex is worth a look because as a mid-range disc its inherent qualities as a rubber disc fit perfectly with the way a mid-range disc is intended to be used. It flies further that a putter, yet offers more control and predictability than a driver (and most other mid-range discs). Add to that the fact that the rubber texture also greatly improves grip and helps it stop on a dime, and you’ve got one heck of a mid-range disc.